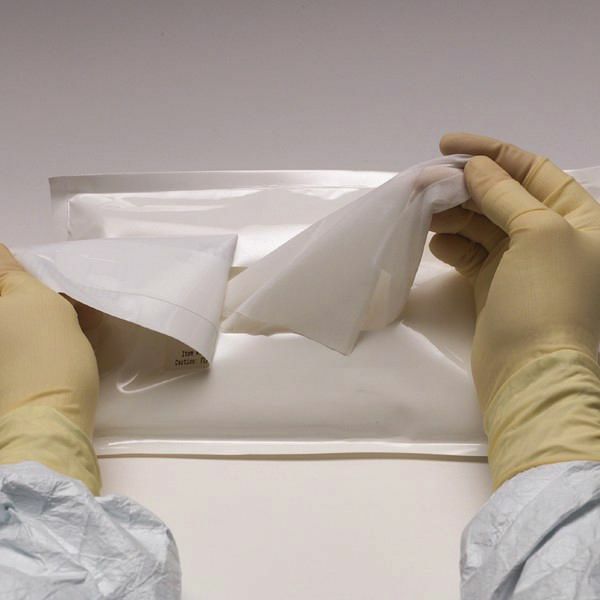 SatPax® 670-R pre-wetted wipes are made with a higher saturation level than SatPax® 670 wipes in order to support the critical solution contact time needed in the regulated industries. They are composed of a hydroentangled non woven blend of 55% cellulose and 45% polyester with a high saturation level of 70% IPA and 30% DI water. Designed for use in wet cleaning of critical surfaces where control of flammable solvents and flammable solvent concentrations is required. Also suitable for the final cleaning of surfaces or products prior to manufacturing or packaging. Suitable for use in Class 100, ISO 5, M3.5 cleanrooms.